There’s a longstanding tradition of British musicians absorbing classic American R&B and soul music during their formative years and then going on to become famous. 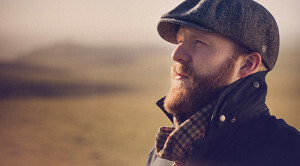 It happened with the Rolling Stones and the Beatles and it’s certainly the story with up-and-coming singer-songwriter Alex Clare. With his new album, Three Hearts, Clare establishes himself as a terrific singer in the fine tradition of Donny Hathaway and Stevie Wonder. He spoke to us via Skype from a tour stop to talk about the album. Your career dates back to 2010 but you started writing songs before that. What was your upbringing like and what made you want to start performing? I always played music from an early age. I come from a very musical family. I started playing the trumpet when I was about 9. I played drums from the age of 12. In my teenage years, I played in lots and lots of bands until I started writing music for myself and pursuing a career in music at the age of 20. I read that you listened to a lot of jazz while growing up. Did you have a favorite vocalist? My dad is really into Thelonious Monk, John Coltrane and Dizzy Gillespie. It’s pretty ear-opening if you listen to a lot of jazz from an early age. I have a lot of soul vocalists I like. My mom was very into it, and I got into it as well. Donny Hathaway is a big influence. Some of the earliest records I have are Stevie Wonder and the Jackson Five. Like a lot of people, we had a lot of Motown and Stax records and the early Atlantic stuff as well. At some point did you start listening to electronic music and/or synth-pop? It was more the case of where I grew up, which is the heartland where a lot of the music came from. A lot of the dubstep came from where I was. My friends were producing and I dabbled in that as well. It was a logical progression to marry the songwriting and the electronic music together. You put out a demo that helped you get your first record deal. What was it like to work on The Lateness of the Hour with Mike Spencer and Major Lazer? It was cool. I started with Major Lazer. Our schedules didn’t work out so Mike came and tidied everything up. It was great fun to do. I don’t think they had worked with a singer-songwriter before. They had never gone to that world of songwriting as opposed to beatmaking, but they enjoyed it. How different was the experience from making your demos? Very, very different. Most of the demos I made were in my bedroom in West London. Suddenly, I was getting flown out to L.A. and New Orleans and Jamaica to make a record. It was a bit of a paradigm shift, to say the least. I had been playing on the scene a long time. There was a thriving live music in London at the time. That’s not the case now as the venues are disappearing, but until about three or four years ago there were countless venues. There were live music nights and indie nights where you could get out there. I was out there constantly. I was gigging four nights a week. Eventually people notice you and word gets around. The labels eventually came knocking. Even if it’s just to satisfy their curiosity, they’ll call you up. When you get one offer, you tend to get other people sniffing around at the same time. Did you write new songs when you went to record The Lateness of the Hour? Three Hearts sounds like it could have been recorded in a different era. Were you trying to capture the feel of an old soul or R&B record? Part of it was that it was fun to play big beats live. But not only that. It’s just a natural progression. We wanted a more organic sound. It’s the natural progression. It’s something you want to do at least once in your life. The next album will be more electronic based. “War Rages On” has a real intensity to it. Talk about what inspired that song. Your music tends to defy genre. Does it ever make things difficult? I like a lot of music. I don’t try to write anything eclectic. I never approach it that it should be a specific genre. It usually falls into a genre by the time I finish it. I never consciously try to make a track . . . that’s evil. Whatever form it takes, it takes. But yeah, it’s tricky then. They want to pigeonhole. It’s cool. I don’t mind if it’s hard for them. It should be hard for them. It would be boring if it was easy.